Thanks to you, Pushwoosh has been growing rapidly this year. We’ve come a long way from the in-house push notification utility into the essential service, which helps tens of thousands of application developers from all over the world to stay in touch with their users. During this year we’ve worked a lot on improving Pushwoosh to simplify the SDK integration, and added a lot of essential features such as Advanced Statistics, extended location-based notifications, Automated Badges, advanced Android options, Aironapp integration, and counting. Pushwoosh became the most multi-platform push notification service, allowing you to send notifications to iOS, Android, Blackberry, Windows Phone 7&8, and Mac OS X devices; to applications built in both native and non-native SDKs such as PhoneGap/Cordova, Unity, Appcelerator Titanium, Corona, Adobe AIR and Marmalade. We have released the WordPress notification plugin and supported iOS Newsstand Apps notifications. Besides, we were the first third-party push notification plugin to be supported by PhoneGap Build. 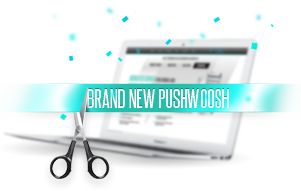 We are going live with the new Pushwoosh website, which comes along with the release of our new push notification SDK for Windows 8, supporting the whole range of Tile, Toast and Badge templates available. 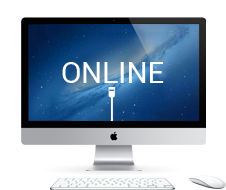 There are also new options introduced exclusively for Gold and Platinum accounts, such as Custom Rich Pages and Multi-Login. Our new Control Panel will follow within the next month. The roadmap also includes other platforms and features which are yet to come in the nearest future. Check out our blog for some of the upcoming updates! We have sent more than 3 billion pushes by now, thank you for making it happen!